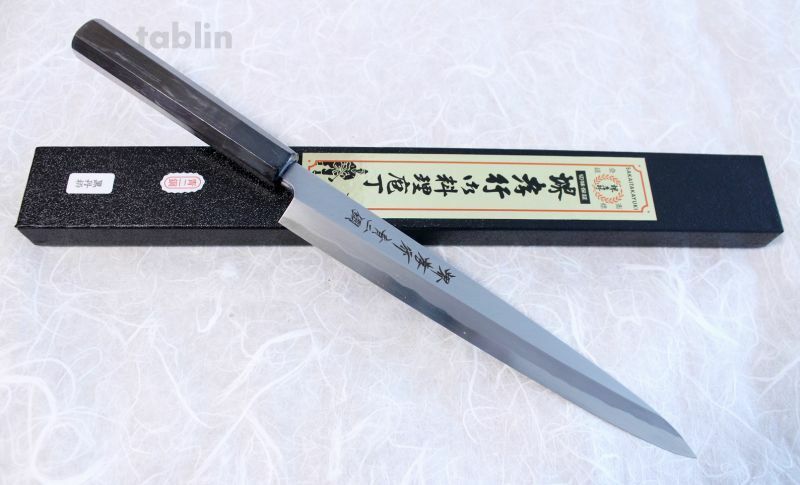 The knives are forged by Mr. Itsuo Doi and is one of the highest-grade, superb examples of Sakai knives, using Yasuki blue-2 steel with an ebony wood handle. Prices vary with the length. 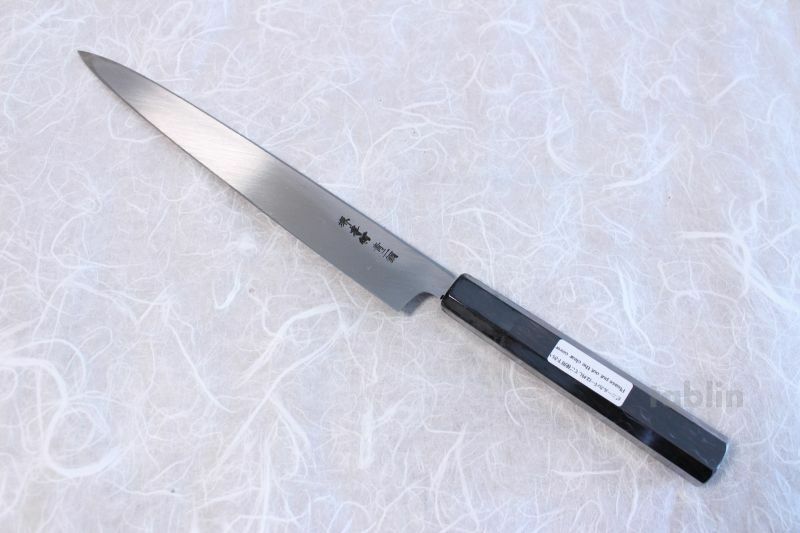 The knife is used for cutting fish, such as fugu blowfish, paper-thin, and it is thicker and not as wide as sashimi knife. The knife is also called the "tessa knife". Mr. ItsuoDoi was born in 1948 and at 24 years of age, he became the apprentice of Mr. Keijiro Doi, his father. 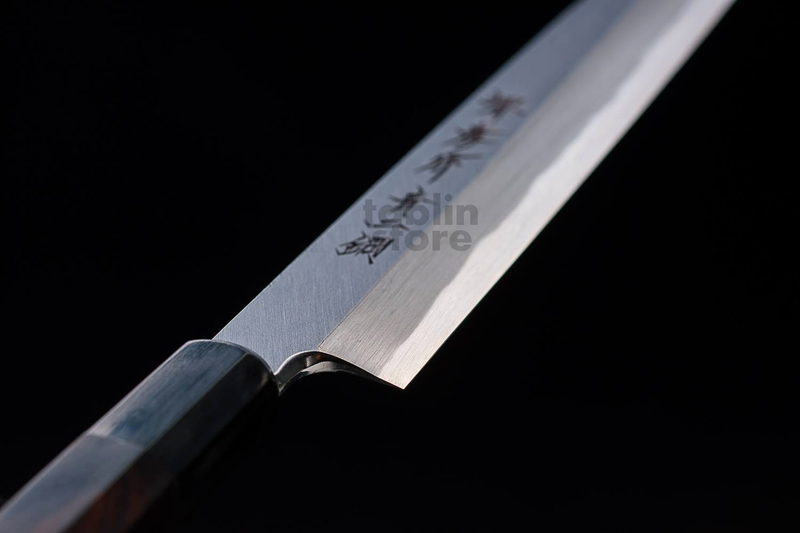 Following in the footsteps of his grandfather, Mr. Doi was trained in the secrets of his family’s craft, continuously producing excellent knives as a knife smith in the Sakai tradition. 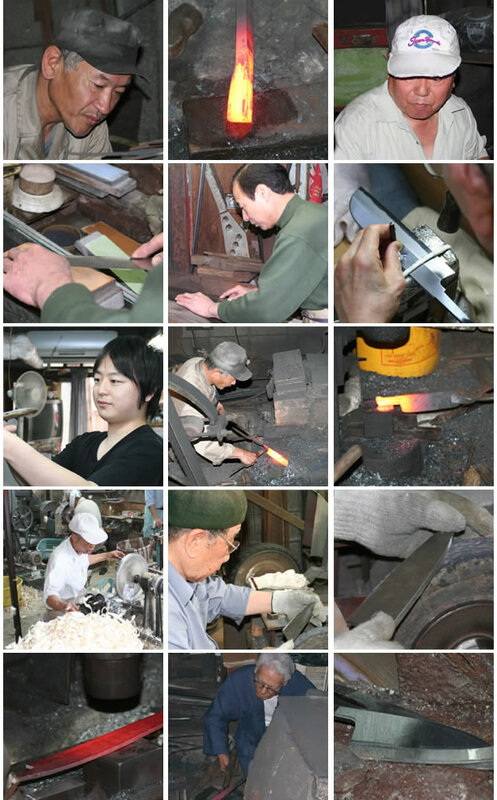 Each knife is made using different techniques, and passes through the hands of various craftsmen such as knife smiths and polishers. 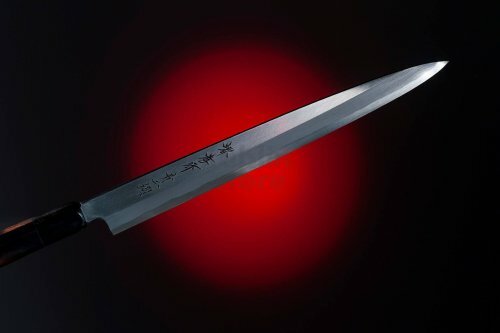 In addition to traditional techniques, the passion and training of the craftsmen are embedded into each piece, and each one continues to receive high marks as a superior knife. Japanese swords have been status symbol from ancient times.The core blade is forged by folding selected steel many times and features supreme sharpness and brilliance;it is has been said that the human soul dwells in the sword.Japanese knifes are actually works of art descended from Japanese swords,and we proudly present them to the world. The quality of meticulous workmanship represents the pride of masters who create quality knives,and the quality is ensured by traditional skills that have been continuously inherited from their predecessors,Japanese knifes have their own unprecedented shapes and are without parallel in the world as knives created for cutting different foods,including fishes and vegetables,and are vital for delicate Japanese dishes, All of our staff members wish that you would pick up the Sakai Takayuki brand products which maintain the traditional skills of Sakai's Japanese knives and demonstrate hte skill of world-class masters. The title "Meister" or traditional craftsman is authorized by the Minister of International Trade and Industry only to craftsmen who have inherited and improved their skills over a long period of time in the field of Japanese traditional industries and craftwork and have passed strict screening tests. 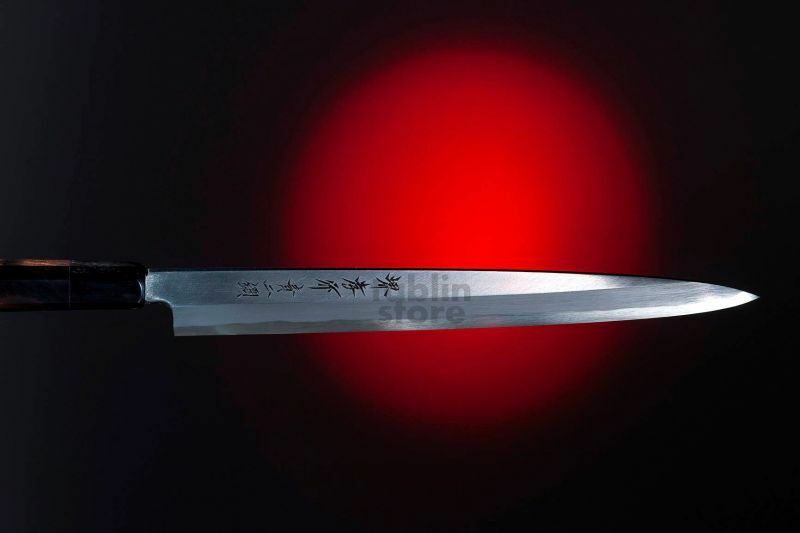 Sakai knives have a 600-year history supported by the excellent skills inherited from generation to generation by Meisters. 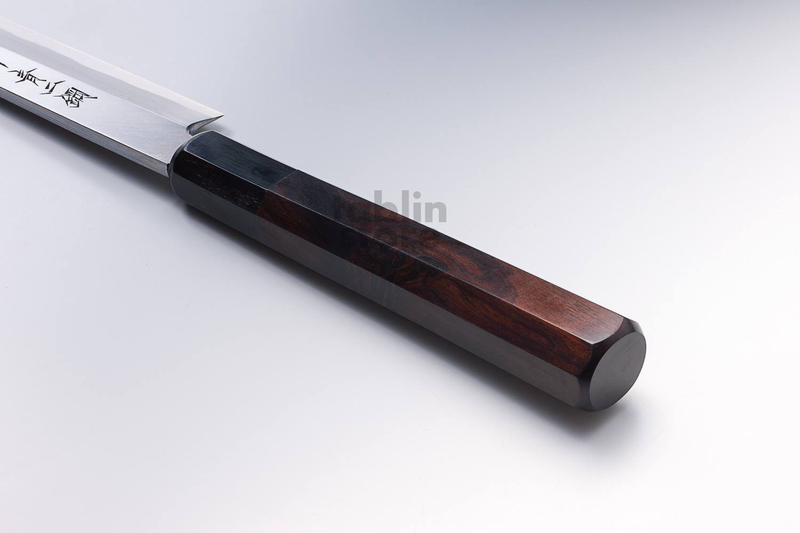 Japanese yew wood which is harder and more water-resistant than magnolia wood is also used for the wooden handle, as well as Ebony wood which is the hardest and most water-resistant of all. Processing Ebony wood is difficult, and it is expensive because it is a prized wood. 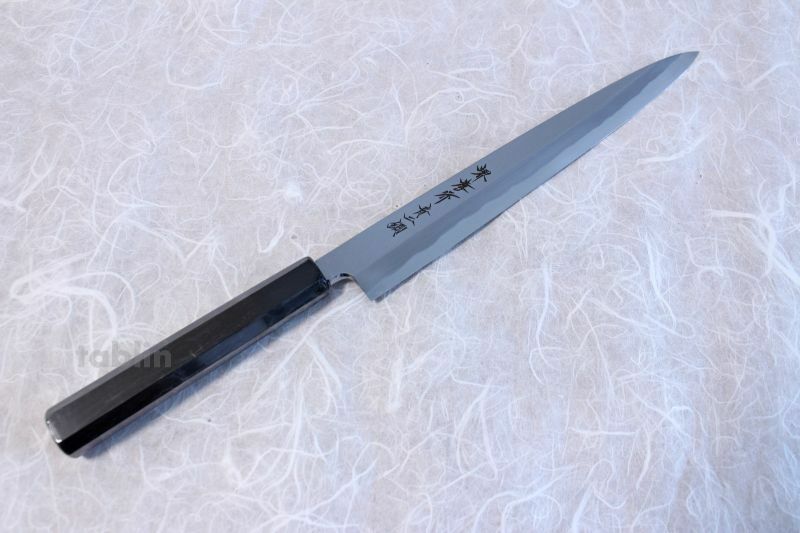 But it is beautiful and elegant, and is also highly durable so it is mostly used in upscale knives.